Forever, Evektor will remain the very first Special Light-Sport Aircraft approved by the FAA, beating Flight Design's CT series by a small margin. Both were the first SLSA ever accepted* by FAA and that will never change. Just like in the Olympics, it's good to come in first. People remember. More recently, Evektor continued their prowess at gaining the seal of approval from regulatory authorities, and in two other regions besides the USA. If you've ever inspected a SportStar or Harmony, you might quickly see why the Czech company keeps passing the test; they produce some beautiful aircraft. The European Aviation Safety Agency (EASA) recently certified* Evektor's SportStar RTC — which the company calls its "training aircraft" — with the popular Garmin G3X Touch Glass Cockpit, reported Evektor. G3X Touch is a digital integrated avionics system built with a native infrared touchscreen interface. G3X offers advanced capabilities including synthetic vision technology with terrain and obstacle alerting, detailed moving map, and advanced air traffic information. SportStar RTC G3X Touch is equipped with two 10.6-inch G3X displays offering dual Air Data and Attitude and Heading Reference System (ADAHRS) and Engine Monitoring System (EMS). SportStar RTC further includes a Garmin GNC 255 Nav/Com radio and a Garmin GTX328 transponder. The Kansas company's Aera 500 is optional. The first SportStar RTC so wonderfully equipped will be delivered to Aeroklub Montpelier in France this February with a second in March. Evektor reported having another 10 such aircraft in production. "SportStar RTC enjoys growing popularity among flight training organizations and air clubs globally," stated the company. In September 2017, a team of the inspectors from the Certification Division of the Civil Aviation Administration of China (CAAC) audited Evektor with focus on production of details and assembly, storage processes, material flow, and design organization support. A CAAC audit team reviewed quality systems throughout the factory located in the south of the Czech Republic, an area rich with aviation enterprises. "Evektor delivers to China its CAAC Certified Light Sport Aircraft SportStar SL that enjoys growing popularity among the air clubs on the Chinese market," said the company. "A regular CAAC audit reconfirmed Evektor is in full compliance with all CAAC requirements for further deliveries of SportStar SL to the Chinese market." Evektor has now been “quality audited by the CAAC of China together with aviation production certified by Czech Civil Aviation Authority and the European EASA according to Part 21 … [proving] the basis for the quality of Evektor aircraft”, stated Jaromír Matuška, Quality Manager of Evektor-Aerotechnik. In the USA, Evektor is represented by Art Tarola and his A-B Flight company and by Steve Minnich's Dreams Come True company. Evektor-Aerotechnik boasts almost 50 years experience in aircraft production and has a fleet of 1,300+ aircraft operating in 50 countries. * In the case of EASA and CAAC "certified" may be the correct term, but in the USA, Special Light-Sport Aircraft are not "certified." Instead they are "accepted" by FAA. 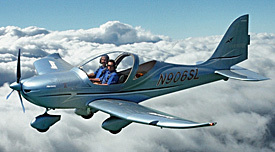 This differentiates SLSA from Type Certified models, such as those created by Cirrus or Cessna. Forever, Evektor will remain the very first Special Light-Sport Aircraft approved by the FAA, beating Flight Design’s CT series by a small margin. Both were the first SLSA ever accepted* by FAA and that will never change. Just like in the Olympics, it’s good to come in first. People remember. More recently, Evektor continued their prowess at gaining the seal of approval from regulatory authorities, and in two other regions besides the USA. If you’ve ever inspected a SportStar or Harmony, you might quickly see why the Czech company keeps passing the test; they produce some beautiful aircraft. EASA Approval The European Aviation Safety Agency (EASA) recently certified* Evektor’s SportStar RTC — which the company calls its “training aircraft” — with the popular Garmin G3X Touch Glass Cockpit, reported Evektor. G3X Touch is a digital integrated avionics system built with a native infrared touchscreen interface. We spent the first day of the second year of this event zooming around DeLand Showcase 2017 shooting several videos for you and I have a sample MiniVideo for you to view. This short take is modest compared to the more professionally-edited ones my video partner SportAviationMagazine.com will produce from the footage we shot today. Here's the link to Videoman Dave's YouTube channel where you can find hundreds more. Long days at the show filled with interviews, photo taking, and discussions with industry leaders and aircraft representatives swallow most of the available time. Yet these brief videos provide quick views and I hope to add more at DeLand and other events. Offer a comment if you like them. The Evektor Harmony LSA is represented in the USA by Dreams Come True, run by Steve Minnich (who by the way has flown the subject aircraft some 700 hours …though the aircraft obviously has received plenty of care and attention). Dreams Come True is located in Ohio. Steve's associate in American sales of Evektor products is Art Tarola of AB Flight located in Pennsylvania. We spent the first day of the second year of this event zooming around DeLand Showcase 2017 shooting several videos for you and I have a sample MiniVideo for you to view. This short take is modest compared to the more professionally-edited ones my video partner SportAviationMagazine.com will produce from the footage we shot today. Here’s the link to Videoman Dave’s YouTube channel where you can find hundreds more. Long days at the show filled with interviews, photo taking, and discussions with industry leaders and aircraft representatives swallow most of the available time. Yet these brief videos provide quick views and I hope to add more at DeLand and other events. Offer a comment if you like them. The Evektor Harmony LSA is represented in the USA by Dreams Come True, run by Steve Minnich (who by the way has flown the subject aircraft some 700 hours …though the aircraft obviously has received plenty of care and attention). First on the market way back in 2005 was the Evektor SportStar. This grundbreaking Czech design will always carry the distinction of being the first Light-Sport Aircraft to be accepted by FAA. In this video, Steve Minnick of Ohio-based family business, Dreams Come True, helps us better understand the newer, more advanced Harmony. This video was shot at the Midwest LSA Expo and promotes the DeLand Showcase, two great LSA-focused events. Evektor's SportStar was the very first to win Special LSA approval and the company since established a long tradition of constantly updating the design (see all our coverage to follow this). The latest, which company designers thought was just a demonstration project, is EPOS, an electric powered version of SportStar. The idea was so well received, they sold 10 at the Aero 2013 show. Here you can see our interview about the details of the electric installation. Evektor’s SportStar was the very first to win Special LSA approval and the company since established a long tradition of constantly updating the design (see all our coverage to follow this). The latest, which company designers thought was just a demonstration project, is EPOS, an electric powered version of SportStar. The idea was so well received, they sold 10 at the Aero 2013 show. Here you can see our interview about the details of the electric installation. Evektor is, was, and always will be the very first Special LSA to earn an FAA airworthiness certificate in the United States. But this company has not rested on those noteworthy laurels. Evektor and their U.S. representatives, Dreams Come True and AB Flight, have continually upgraded the airplane. In this video Art Tarola details some new offerings announced at AirVenture 2012 to help flight schools acquire and maintain the SportStar or Harmony. Evektor has adhered closely to a principle called CANI... Continuous and Never Ending Improvement. The Czech company's aircraft have seen exactly that, a series of continuous changes. In this video, AB Flight's Art Tarola tells us about some changes that might please aircraft buyers. Art and Steve Minnich of Dreams Come True are the key representatives of all Evektor aircraft. Check it all out in this video. Evektor has adhered closely to a principle called CANI… Continuous and Never Ending Improvement. The Czech company’s aircraft have seen exactly that, a series of continuous changes. In this video, AB Flight’s Art Tarola tells us about some changes that might please aircraft buyers. Art and Steve Minnich of Dreams Come True are the key representatives of all Evektor aircraft. Check it all out in this video. Evektor, the first ever Light-Sport Aircraft has been busy updating their Sportstar for years. In 2011 they brought their Harmony LSA to America with even more changes. This time the wing shape went from rectangular "Hershey Bar" shape to a tapered tip along with many other changes. Co-importer Art Tarola helps us understand all the differences. 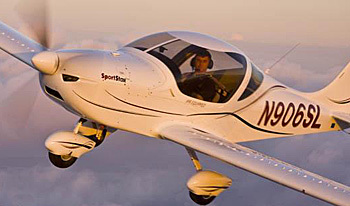 Evektor, the first ever Light-Sport Aircraft has been busy updating their Sportstar for years. In 2011 they brought their Harmony LSA to America with even more changes. This time the wing shape went from rectangular “Hershey Bar” shape to a tapered tip along with many other changes. Co-importer Art Tarola helps us understand all the differences. Without changing the model designation -- it's always been the Sportstar -- Evektor has steadily evolved their all-metal low-wing aircraft. The model was the #1 aircraft to win SLSA approval, a distinction it retains forever, yet it changed to address customer interests. In this video we review some of the changes to the Max version, with its much-smoother exterior; see our other Sportstar videos for more info. Without changing the model designation — it’s always been the Sportstar — Evektor has steadily evolved their all-metal low-wing aircraft. The model was the #1 aircraft to win SLSA approval, a distinction it retains forever, yet it changed to address customer interests. In this video we review some of the changes to the Max version, with its much-smoother exterior; see our other Sportstar videos for more info. Evektor is the No. 1 brand in the LSA fleet, and it earns that title by being number one to earn SLSA approval back in April 2005. It's also one of the most well-used LSA in flight schools around the country. Now, they are selling their new Max model, with several desirable enhancements and features like toe brakes. Evektor is the No. 1 brand in the LSA fleet, and it earns that title by being number one to earn SLSA approval back in April 2005. It’s also one of the most well-used LSA in flight schools around the country. Now, they are selling their new Max model, with several desirable enhancements and features like toe brakes. American readers of ByDanJohnson.com may be surprised to hear that more than a third of all visitors are from outside the United States. In a related fact, America has more pilots than any other country (very roughly half of the world aviator population) but more light aircraft are sold in other country by a ratio of around 10:1. These figures are fuzzy for a number of reasons but the point is that for LSA, the world is their market. That statement is further proven by two recent successes. Evektor reported it successfully passed the audit of the Civil Aviation Administration of China (CAAC) for production at the company's Kunovice, Czech Republic plant. "CAAC's audit team inspected the production facilities of Evektor-Aerotechnik focused on quality assurance, engineering and manufacturing, and quality inspections of fixed wing light sport aircraft," said Evektor. 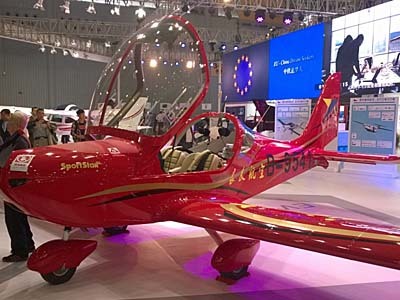 This Czech company — the first to obtain FAA acceptance back in 2005 — was able to prove compliance with CAAC requirements for Light-Sport Aircraft, meaning Evektor is fully authorized by the CAAC for deliveries of SportStar SL aircraft to the Chinese market. While not required by Evektor's U.S. representatives, it represents further bragging rights about the design and its manufacturing processes. 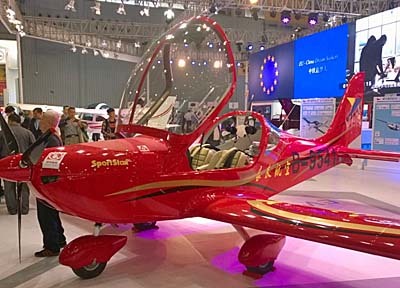 "The Quality Management System audited by the CAAC of China [in concert] with the FAA and the European EASA Part 21 Design & Production Organization Approvals represents the continuous compliance of Evektor's Quality Management System with the highest general aviation quality standards and is the basis for the high quality of Evektor's aircraft," stated Jaromír Matu|ka, Quality Manager of Evektor-Aerotechnik. Slovenian LSA builder Pipistrel claimed to have signed the largest single-point contract for delivery of 194 of their Virus SW models to the Indian Armed Forces. The model will be called SW80 Garud for use by the Indian military. Garud is a bird from Hindu mythology. Pipistrel reportedly beat ten other competitors for the contract. The Garuds will be used to train cadets of India's Air Force, Navy and National Cadet Corps spread across 100 locations in the country. Deliveries are to begin in eight months with the contract specifying that Pipistrel must deliver all 194 aircraft within 30 months of the first. Upon learning of their victory, Team Pipistrel must have celebrated enthusiastically but nearly 200 aircraft over two and a half years is a serious order, especially as the contract stipulates spare engines, ground support equipment and tools, 10 years of product support, plus training for aircrew, instructors, and technical staff. Garud aircraft will be powered by the 80 horsepower version of the Rotax 912 engine, which Pipistrel claims will provide a cruise speed of 133 knots with fuel consumption of only 3.6 gallons per hour. To achieve such speed and fuel economy infers an in-flight adjustable pitch prop. Garud is to be built for operation from semi-prepared surfaces and will include a ballistic parachute rescue system, digital avionics, energy-absorbing seats and a Kevlar-reinforced cockpit. After two years of intense negotiation, some experts see challenges. One wrote, "Doing business with the Indian government, with all their red tape, bureaucracy and corruption makes for tough duty." Penalties for non-compliance may be substantial and our expert noted, "The Indian government will find areas of non-compliance. Further, he supposed Pipistrel had to cut their margins to earn the contract. Finally, "A contract for six or seven aircraft per month may soak up their production for other markets." Congratulations to Evektor and Pipistrel for these accomplishments! American readers of ByDanJohnson.com may be surprised to hear that more than a third of all visitors are from outside the United States. In a related fact, America has more pilots than any other country (very roughly half of the world aviator population) but more light aircraft are sold in other country by a ratio of around 10:1. These figures are fuzzy for a number of reasons but the point is that for LSA, the world is their market. That statement is further proven by two recent successes. Evektor reported it successfully passed the audit of the Civil Aviation Administration of China (CAAC) for production at the company’s Kunovice, Czech Republic plant. “CAAC’s audit team inspected the production facilities of Evektor-Aerotechnik focused on quality assurance, engineering and manufacturing, and quality inspections of fixed wing light sport aircraft,” said Evektor. This Czech company — the first to obtain FAA acceptance back in 2005 — was able to prove compliance with CAAC requirements for Light-Sport Aircraft, meaning Evektor is fully authorized by the CAAC for deliveries of SportStar SL aircraft to the Chinese market. Much of what we hear and know about airplane populations is centered on America. Yet in the world of sport and recreational aviation, the rest of the world equates to at least a 1:1 relationship, that is, for every American aircraft flying, many experts agree another flies internationally. It may be more significant than that ... consider Germany. In mid-August, our friends at Aerokurier, Germany's leading aviation magazine, assembled an article about the top 10 ultralights in that country. A European ultralight, as you may know, is not the same as an American ultralight that is today limited to a single seat and no more than 254 pounds of empty weight. In Germany and elsewhere around the European Union, "ultralight" refers to an airplane much like a U.S. Light-Sport but limited in weight to 472.5 kilograms or 1,041 pounds. Originally the weight limit had been 450 kilograms or 992 pounds but because emergency airframe parachutes are mandatory in Germany the weight was increased a few years ago to cover this component. In the following article, we present Aerokurier's article translated by computer and edited for English readers. Any errors from the original are ours. Following Aerokurier's description is our added commentary. We hope you enjoy this glance at the very active sport flying community in Germany. We'll do this in style of TV host David Letterman's Top-10, starting with #10 and working up to #1. According to sanctioned organizations (DaEC & DULV) tasked with administrating and registering ultralights in Germany, 2,257 airplanes comprise the country's Top-10. This number is equivalent to our market share charts that show entire fleet size over the life of the category. The numbers below do not describe annual sales. #10 — Evektor Eurostar (94 flying) — Built by Evektor in Kunovice, Czech Republic, Eurostar is a versatile all-metal low-wing aircraft recommended for travel, training, and towing. Regular model updates ensure that the Eurostar does not look old today. 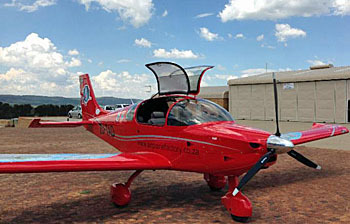 Under the model name Sportstar RTC, the aircraft is also available as EASA-certified LSA [under EU rules called CS-LSA]. |||| Americans know Sportstar and now Harmony as a leading LSA company ranked at #9. 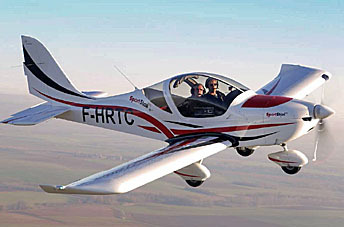 Sportstar was the very first LSA to win FAA acceptance back in 2005. This highly refined aircraft has worked well as a trainer and a cross country traveler. #9 — AeroSpool Dynamic (97 flying) — It's fast and belongs to the ultralight beauties at the sky. Built in Slovakia WT9 Dynamic is the epitome of a sporty composite low-wing monoplane. Capable of more than 200 km/h (125 mph) it excels at cross country flying, is comfortable, and can even tow gliders. Dynamic's flight characteristics are exemplary processing. |||| Dynamic in fixed gear form has some U.S. models flying but after Sport Aircraft Works left the business sales slowed to a stop and it never entered the Top-20 of the American LSA market. #8 — P92 (147 flying) — Tecnam supplies the P92, a real bestseller. The all-metal high wing is offered in several variants [including floatplane and taildragger]. These products range from the spartan-equipped light version for schools and clubs through to one fitted for luxurious airplane travel. One thing they all have in common: their flight characteristics are perfectly smooth and its structure is considered indestructible. |||| Italian giant Tecnam has sold P92 for 25 years and has examples all over the world. The company, with multiple LSA accepted by FAA, is ranked #6 in the American LSA market though that does not include their certified Twin that uses a pair of Rotax 912s. In early 2014, Tecnam opened a facility in Sebring, Florida along with an customer-friendly deposit program (only 10% due until delivery is ready) that seems sure to increase their market position. #7 — Kiebitz (151 flying) — The biplane from designer Michael Platzer has a huge following in Germany. Hardly any other ultralight gives so much fun flying in an open cockpit. To win this jewel, owners must either build it or seek one from the used market. Only plans and individual parts are offered, however, for many the effort is worthwhile. |||| Kiebitz has no U.S. market presence yet given the interest in vintage designs like the many Cubalikes, perhaps some interest can develop. On the other hand, Americans already have many choices in the world of homebuilt vintage aircraft so we may never see a Kiebitz in the USA. #6 — Remos GX (166 flying) — Remos Aircraft started in the mid-1990s with the introduction of its composite high wing G-3 that became popular with many ultralight pilots. Professionally produced and easy to fly this ultralight earned an excellent reputation in the industry. Several years ago, the company offered an updated GX version, which was proceeding toward European LSA approval [a more complicated and costly process than in the USA]. After a difficult time in recent years, production restarted in 2013. |||| Even after stalling badly following a tremendous promotional push, Remos still owns the #7 spot in the American LSA ranking, although reports of added financial challenge continue to dog the company. The airplane was marketed more heavily than any other LSA brand and won many happy customers. #5 — FK 9 (202 flying) — With the FK 9 Peter and his father Otto Funk [who died in 2014] presented their first FK 9 at Aero 1989 as one of the first "cabin class" ultralights replacing earlier aircraft that were far more basic. 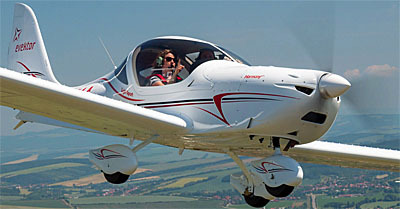 Today, the high wing is a model of success that is enjoys great popularity with many clubs and flight schools in Germany. New model innovations ensure continued success in the market. Older models are on the second hand market remain extremely popular. Today, the aircraft is built by FK-Lightplanes in Poland. |||| FK 9 enjoys market presence and current representation by Hansen Air Group in the USA. Another popular model from this company is the folding-biwing aerobat, FK 12 Comet, and coming from FK Lightplanes and Hansen will be a rather fantastic 70% replica of the P-51 Mustang (video) that you have to see to believe; the detail work is simply amazing. #4 — C22 (229 flying) — Germany's ultralight classic C22 has a loyal following to this day. Since the 1980s the model has stayed on the market and many still authorized aircraft remain active. From today's perspective, flight characteristics and comfort may seem rather spartan, but real ultralight fans love the original flying with the proven tube & Dacron construction from Comco Ikarus based in the south of Germany. [Note that Comco Ikarus also owns the #1 position in the market making this company Germany's clear leader after many years.] |||| No C22s are flying in the USA, nor has the German market leading C42 found many customers. The C22 is very similar to the Flightstar line popular for years in the USA and this entry in Germany's Top-10 listing is the only one faintly resembling what Yankees think of as an American ultralight. No attempt has been made to enter the U.S. with C22 and it probably would not succeed as we have a number of roughly comparable models. #3 — CTLS (243 flying) — From generation to generation the CT series from Flight Design has become better. This cantilevered high wing, all-composite monoplane has established itself as a mature aircraft for travel, training, and glider towing. Thanks to the extra wide cabin and large fuel tanks, lengthy cross country flights are a pleasure. In both USA and in Europe as an EASA-certified holder of a Restricted Type Certificate (RTC), CT is a successful LSA with 600 kg (1,320 pound) maximum gross weight. |||| You know this one in the USA as the longtime and always market leader. Since the beginning of LSA in 2004, Flight Design's CT2K, CTSW, CTLS, and CTLSi have held the largest single market share, currently ranked #1 with 359 in our most recent market share report. At #3 in Germany and #1 in the USA plus a growing presence in China, the company enjoys a strong position. #2 — MTO Sport (346 flying) — This gyroplane is a case of the right product at the right time. In 2004, when the first MT-03 was first built, CEO Otmar Birkner had no idea he would trigger a surprising boom with gyroplanes. Many pilots love to be in the open cockpit feel the wind in your hair and to experience the flying dynamics of an autogyro. Today AutoGyro from the north of Germany is the world's leader in the gyro business. 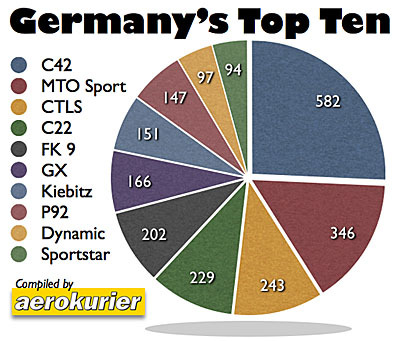 The MT-03 and its successor MTO Sport end up together in second place in Germany's registration statistics. |||| AutoGyro and other gyro providers operate in America but as FAA cannot seem to overcome their own rules, these popular planes must be built as Experimental Amateur Built (the 51% rule). If FAA ever catches up with the trend, look for more gyros to be flying as Americans seems to like the fully enclosed two seaters in tandem and side by side form. Rotax reports that gyroplanes are the #1 buyers of Rotax 912 of any aircraft type in the world. #1 — C42 (582 flying) — Germany's most popular ultralight comes from the south of Germany. C42 by Comco Ikarus secures first place with 582 licensed copies of this tube & Dacron, high wing monoplane. It has been refined repeatedly over the years and currently the manufacturer produces three versions: C42A, C42B and C42C. The aircraft is very easy to use and is widely used by flying clubs and their flight schools. |||| The clear king of ultralights in Germany has 70% more aircraft registered than the number two producer and represents more than 25% of Germany's Top-10, a stronger position than even the top two U.S. LSA producers put together. While Comco Ikarus has attempted to gain an American foothold, exhibiting at big events such as AirVenture in past years, the company has never found either the right representation nor market reception, though admittedly the U.S. market is crowded with great competition for customer attention. As you can see, the Germany and American markets have their differences but also enjoy great similarity. Germany is one of the very strongest light aircraft markets outside the U.S., trailed in approximate order by the Czech Republic, France, Britain, Spain, Italy and others. The American market remains the world's largest for light aircraft of all types, but in the world of sport and recreation is closely trailed by other countries. Much of what we hear and know about airplane populations is centered on America. Yet in the world of sport and recreational aviation, the rest of the world equates to at least a 1:1 relationship, that is, for every American aircraft flying, many experts agree another flies internationally. It may be more significant than that … consider Germany. In mid-August, our friends at Aerokurier, Germany’s leading aviation magazine, assembled an article about the top 10 ultralights in that country. A European ultralight, as you may know, is not the same as an American ultralight that is today limited to a single seat and no more than 254 pounds of empty weight. In Germany and elsewhere around the European Union, “ultralight” refers to an airplane much like a U.S. Light-Sport but limited in weight to 472.5 kilograms or 1,041 pounds. Originally the weight limit had been 450 kilograms or 992 pounds but because emergency airframe parachutes are mandatory in Germany the weight was increased a few years ago to cover this component. Read More About: CTLS Evektor (Dreams Come True) Evektor Aerotechnik FK-Lightplanes FK9 B Mark IV Flight Design GmbH Flight Design USA Hansen Air Group LSA Market Shares P92 Echo Super SportStar Tecnam Costruzioni Aeronautiche Tecnam US Inc. This older SportStar (with Canadian registration) features LAMA founder Larry Burke in the Pilot-in-Command seat. The very first aircraft ever to receive approval in the USA as a Light-Sport Aircraft is Evektor-Aerotechnik's SportStar. No challenger can ever take away that title yet the company has continually developed this pioneeering airplane and recently achieved a new level of approval ... one that alters the landscape in a way I predict we'll see more as FAA's Part 23 rewrite project progresses. "Following several months of certification process EASA has approved glass cockpit Dynon SkyView [as] SportStar RTC," Evektor announced. RTC stands for Restricted Type Certificate. It is not identical the U.S. Part 23 Type Certificate — representing a somewhat lower level of government oversight — but a company earning this has to jump through many regulatory hoops. "SportStar RTC has become the first EASA certified aircraft approved with the SkyView glass cockpit [by proving] compliance with certification requirements of the EASA CS-LSA regulations. Dynon's SkyView, recently upgraded to permit touch functionality, is widely known and used on Light-Sport Aircraft. The first SportStar RTC with Dynon's SkyView will be delivered to France [and put into service by] Air Club Les Alcyons, one of the biggest clubs in the Paris area. Along with gear from Dynon and Garmin, Evektor said, "The aircraft will have also Apple's i-Pad Mini installed, bringing extended convenience and functionality in the cockpit." All these components from LSA stalwarts Dynon and Garmin are increasingly paired with Apple's ubiquitous tablet computer used in many industries and widely employed throughout all levels of aviation from airliners to ultralights. "With the advanced SkyView glass cockpit, ballistic recovery system, low operating costs and excellent training platform the SportStar RTC represents the most innovative solution for air clubs and pilot training organizations on the global market today," added Evektor. A top-ranked supplier to the U.S. market Evektor also does well overseas, reporting more than 1,300 aircraft have been delivered. Evektor has solid American representation through Dreams Come True and AB Flight. As everyone headed to Oshkosh for AirVenture 2014 finalizes their packing and preparations, one historically significant Light-Sport Aircraft is doing likewise and may, just possibly, appear at the space EAA has provided for the 10th Anniversary Celebration of SP/LSA. Evektor owner, E. W. Rogers wrote to offer this: "I am flying a SportStar to Oshkosh this year ... it is the first one sold in USA, and has about 800 maintenance-free hours on it." At the EAA space near the newly renamed Boeing Plaza, look for the special EAA space, which will have at least 17 aircraft on display, including most leading brands of Special LSA plus weight shift, powered parachute, gyroplanes, and some "vintage" aircraft that Sport Pilots may fly. ••• Those going to Oshkosh may also want to attend a forum about the decade-old sector on Tuesday July 29th from 1:00 to 2:15 PM in Honda Forum Pavilion 7. The presentation will feature EAA boss Jack Pelton; FAA honcho Earl Lawrence; original FAA rule writer Ron Wojnar; industry leader Tom Peghiny of Flight Design USA; Rotax engine expert Eric Tucker; FAA Sport Pilot specialist Mark Giron; and ... yours truly. The very first aircraft ever to receive approval in the USA as a Light-Sport Aircraft is Evektor-Aerotechnik’s SportStar. No challenger can ever take away that title yet the company has continually developed this pioneeering airplane and recently achieved a new level of approval … one that alters the landscape in a way I predict we’ll see more as FAA’s Part 23 rewrite project progresses. “Following several months of certification process EASA has approved glass cockpit Dynon SkyView [as] SportStar RTC,” Evektor announced. RTC stands for Restricted Type Certificate. It is not identical the U.S. Part 23 Type Certificate — representing a somewhat lower level of government oversight — but a company earning this has to jump through many regulatory hoops. “SportStar RTC has become the first EASA certified aircraft approved with the SkyView glass cockpit [by proving] compliance with certification requirements of the EASA CS-LSA regulations. Dynon’s SkyView, recently upgraded to permit touch functionality, is widely known and used on Light-Sport Aircraft. Sling kits in stock at The Airplane Factory USA. 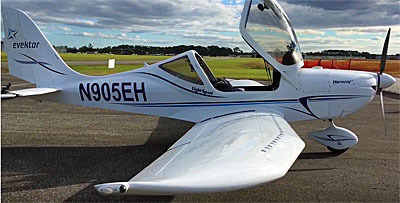 Evektor's highly-evolved Harmony LSA with its elegant compound-angled wing. The Great Recession was the pits ... for nearly all industries and most employees or small business owners. That's hardly newsworthy. However, the recovery from the recession — that government economists insist ended years ago — has been a long time coming. For too many out-of-work pilots, that recession lingers with us yet. Fortunately, the aviation economy appears to be improving. Although registrations didn't show it for 2013, the year provided more sales for sellers if not more airplanes for their customers. Now, the hope is that airplanes will emerge from factories faster and the general health of the industry will improve, which is good for seller and buyer alike. A couple companies have proof that things are looking up and I'd like to tell you a little about them. First is South Africa's The Airplane Factory (TAF) and their rep', TAF USA, led by Matt Litnaitzky and associate Ryan Ruel. (Matt has also made a reputation by being the importer of and provider for MGL Avionics.) Matt wrote, "[We've] been working hard over the last several months to carry kits in stock here in the U.S. and we have finally achieved this goal. We know that some of the biggest deterrents and hold-ups in the kit-building world are the lack of stock kits and long lead times for kit builders. We are determined to have kits and parts available to our builders with very short lead times." I visited Matt and Ryan more than a year ago at their Torrance, California location when they embarked on an inventory-building exercise and the photo shows their build-up success. "The factory in South Africa is now churning out more than five airplanes per month," reported Matt, "They are prioritizing shipments to the United States to help us build and carry stock for our customers. We currently have kits on hand and more are on the way after selling several last month." TAF is one of at least five LSA producers that is entering the four seat market, in TAF's case with their Sling 4 (the LSA is Sling 2). So, Matt hastened to add, "We will be receiving Sling 4 kits as well, with the first several coming in just a couple months. We will also be working towards carrying a full stock of accessories and extras for the Sling 2 and Sling 4 kits, not just the airframe subassemblies. We will carry stock upholstery, electrics kits, firewall forward items, and much more, including hardware." Matt concluded, "We've been able to lower our ready-to-fly model lead time to eight weeks meaning we can get you flying faster than ever before. With a handful of builders already well on their way throughout the US and Slings flying on the West Coast we are set for a fast takeoff in 2014!" Next is No. 1 ... that is, the first company ever approved as a Special LSA: Evektor. The Czech company is represented in the USA by Steve Minnich of Dreams Come True and Art Tarola of AB Flight in Pennsylvania. After the Sebring LSA Expo 2014, Steve wrote, "[We] signed orders for delivery of two Harmony LSA airplanes to customers in the USA. Just a week earlier Evektor shipped another two airplanes: two SportStar MAX with Night VFR equipment." He reported that an IFR-equipped Harmony LSA model comes with Garmin's G3X glass cockpit with autopilot. The aircraft, with the normally aspirated Rotax 912S was ordered by a flight training organization from the American Northeast. Evektor has enjoyed a long, beneficial relationship with several American flight school operations. "The second Harmony LSA is equipped with Dynon's 10-inch SkyView and integrated autopilot, Evektor's Night VFR package and the latest Rotax 912iS engine. This aircraft will be used for pilot touring by a private customer. Congratulations to both TAF USA and the Evektor reps; it is great to see our suppliers doing well so they can provide superior services to their customers. The Great Recession was the pits … for nearly all industries and most employees or small business owners. That’s hardly newsworthy. However, the recovery from the recession — that government economists insist ended years ago — has been a long time coming. For too many out-of-work pilots, that recession lingers with us yet. Fortunately, the aviation economy appears to be improving. Although registrations didn’t show it for 2013, the year provided more sales for sellers if not more airplanes for their customers. Now, the hope is that airplanes will emerge from factories faster and the general health of the industry will improve, which is good for seller and buyer alike. A couple companies have proof that things are looking up and I’d like to tell you a little about them. First is South Africa’s The Airplane Factory (TAF) and their rep’, TAF USA, led by Matt Litnaitzky and associate Ryan Ruel. The rush is on — hardly a surprise to anyone these days — regarding China's emergence into general or recreational aviation. Investors in the country are buying iconic aviation brands with increasing frequency it seems and more companies in the LSA space are rushing to join the party. They join a growing flock of home-grown producers (see earlier report). No wonder. With China's economic growth, new freedom to fly at least in some airspace, and keen interest in flying one's own airplane, the business possibilities appear large. While established countries remain mired in economic sluggishness, China's star shines brightly. Add those factors to the much lower price of purchasing a Light-Sport Aircraft and you can see why companies are jumping on the bandwagon. The newest company to succeed in gaining Chinese approval is Evektor and their SportStar LSA models. The Czech company reported, "Evektor successfully passed an audit by the Civil Aviation Administration of China (CAAC) at its production plant in Kunovice, Czech Republic." Chinese auditors focused on quality assurance and inspections as well as Continued Operational Safety Monitoring. These key safety areas are subject to close review by FAA as well and indeed Evektor has also successfully completed audits by U.S. auditors and those from EASA in the last year. "It means Evektor is fully approved by CAAC for further deliveries of Light-Sport Aircraft to the Chinese market," the company concluded. Congratulations, Evektor! 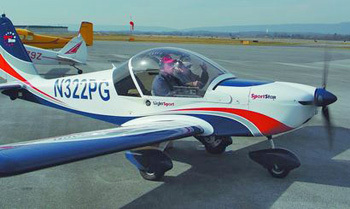 "In August 2012 Evektor gained type certification from CAAC for its worldwide popular pilot training and leisure flying SportStar aircraft, which had become the very first FAA approved aircraft in the US LSA category," observed Petr Javorsky, Executive Director of Evektor-Aerotechnik (second from left in nearby photo). Since Evektor has both a CAAC production certification and SportStar type certification, the company meets all the requirements of the CAAC for importation of the SportStar to China. Now a new task begins: expanding marketing activities in China and searching for sales partners in the country. Evektor has aircraft flying in more than 40 countries and some 1,200 Evektor aircraft have been delivered. The rush is on — hardly a surprise to anyone these days — regarding China’s emergence into general or recreational aviation. Investors in the country are buying iconic aviation brands with increasing frequency it seems and more companies in the LSA space are rushing to join the party. They join a growing flock of home-grown producers (see earlier report). No wonder. With China’s economic growth, new freedom to fly at least in some airspace, and keen interest in flying one’s own airplane, the business possibilities appear large. While established countries remain mired in economic sluggishness, China’s star shines brightly. Add those factors to the much lower price of purchasing a Light-Sport Aircraft and you can see why companies are jumping on the bandwagon. The newest company to succeed in gaining Chinese approval is Evektor and their SportStar LSA models. The Czech company reported, “Evektor successfully passed an audit by the Civil Aviation Administration of China (CAAC) at its production plant in Kunovice, Czech Republic.” Chinese auditors focused on quality assurance and inspections as well as Continued Operational Safety Monitoring. What will you do on your 100th birthday? Guy went for a flight. Guy signs a prop that will be on display in the airport terminal. Bart Rogers who sent this photo wrote, "I've promised all other aviators they can sign it when they turn 100." This article follows up on an earlier one about Guy Reynolds. Yesterday, on his 100th birthday, Guy took the skies as he has so regularly, flying his Evektor SportStar with a fellow pilot along for safety. Rather than interpret, I present local journalist John McVey's entire piece below. John also gives you a perspective on Guy, a fellow aviator we can all admire. The following was written by John McVey and published by the Martinsburg, West Virginia Journal newspaper. Bold accents are added. —DJ MARTINSBURG — Thomas Guy Reynolds Jr. eased back on the stick of his Evektor SportStar light sport aircraft and it lifted effortlessly off the runway at the Eastern Regional Airport. He circled the field three times, making a couple of low passes over the runway for pictures, and softly set his plane down. That would not be extraordinary, but Reynolds flew Friday on his 100th birthday. He is the oldest known licensed pilot in West Virginia and definitely the senior pilot in this region. "The flight was fine," Reynolds said afterward. "The air was nice and smooth." He takes a co-pilot with him in his two-seater plane, usually Bart Rogers, but flying on his birthday has become a tradition as well as celebrating the day with fellow pilots at the airport, who fly in to enjoy lunch, cake and stories. "I hope to fly on my 101st birthday," he said. Rogers was grateful for the weather Friday, which was perfect for flying — little wind and clear skies. "It is a thrill to fly with someone who's 100 years old," Rogers said. "He's as sharp as a tack." And Rogers does not touch the controls. Reynolds is the pilot. Needless to say, Reynolds' centennial birthday was very special, drawing a quite a crowd of family, friends and admirers. "I am in awe of him, totally in awe," said Ann Reynolds Carden, who traveled from New York to see her father fly. "He doesn't have any fear, so I'm not afraid when he flies, but I don't like to fly." Understandably, she is extremely proud of her father. "He is a wonderful father; he's a good man; he's an amazing, incredible human being," Carden said. Reynolds was born in Martinsburg November 30, 1912, the son of the late Thomas Guy Reynolds Sr. and Lora Lenora Stotler Reynolds. He graduated from Shepherd College in 1933 with a degree in education. Reynolds taught school in Berkeley County for 18 years; ran his own television and radio repair business; served as an electro-mechanical designer for Thieblot Aircraft Co., which was located at the airport; and worked as an engineer at Corning Glass Works in Berkeley County, where he was appointed to the position of senior associate. He was the first person at the local plant to receive that honor. Reynolds took his first flight from Shepherd Field, now the Eastern Regional Airport, in 1929 in a Ford Trimotor airplane. In 1943, he organized the Martinsburg Composite Squadron of the Civil Air Patrol, serving as its first commander. The unit's insignia bears his initials. After World War II, Reynolds served as chairman of the West Virginia Aeronautics Commission for two terms. He was recognized in 2004 as the Berkeley County Citizen of the Year for his lifetime of volunteer service to the community. In 2006, Reynolds was named an Outstanding Alumni of Shepherd University. He was inducted into the West Virginia Voter Hall of Fame in 2008 for having voted in every general election since at least 1942, when records were first kept. And on his 93rd birthday, he made a parachute jump — a lifelong ambition — with the Chambersburg, Pennsylvania Parachute Club. He was, and as far he knows, remains the oldest person to parachute in Pennsylvania. "I'm just blessed, that's all I can say," Reynolds said about his aptitude for flying during media interviews. "I'm lucky I can fly. I feel comfortable in the air, relaxed and I enjoy it." Asked for his advice to young people, he said, "If you want to do something, do it. You don't know when you might not be able to do it." This article follows up on an earlier one about Guy Reynolds. Yesterday, on his 100th birthday, Guy took the skies as he has so regularly, flying his Evektor SportStar with a fellow pilot along for safety. Rather than interpret, I present local journalist John McVey’s entire piece below. John also gives you a perspective on Guy, a fellow aviator we can all admire. The following was written by John McVey and published by the Martinsburg, West Virginia Journal newspaper. Bold accents are added. —DJ MARTINSBURG — Thomas Guy Reynolds Jr. eased back on the stick of his Evektor SportStar light sport aircraft and it lifted effortlessly off the runway at the Eastern Regional Airport. He circled the field three times, making a couple of low passes over the runway for pictures, and softly set his plane down. That would not be extraordinary, but Reynolds flew Friday on his 100th birthday. 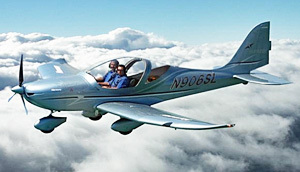 Guy Reynolds in beloved Evektor Sportstar. photo provided by Bart Rogers. Also read Jim's Lawrence's article on Guy's 99th birthday flight. Reynolds and his aviation support group. photo provided by John McVey of the Martinsburg, West Virginia Journal newspaper. This intricate model of air traffic patterns was built by Guy Reynolds while he worked for Thieblot Aircraft. It was featured in NBAA's Skyways magazine in August of 1959. Thanks to aviation historian Bart Rogers for providing this and other information about Guy's background. On November 30th, Guy Reynolds will celebrate his 100th birthday by taking a flight in Light-Sport Aircraft. Putting a finer point on it, he'll take this flight in his LSA. Are you surprised that a centenarian has an LSA? Admit it... I was. However, Guy is no ordinary guy. He bought his Evektor Sportstar back at the beginning of LSA and he's been flying it about 100 hours every year. That's probably more than you fly your LSA. Impressive even for a young 50-year old pilot, this fact is, well... astounding for a 90-something pilot. Before you question the wisdom of this flight, let me assure you Guy is a pretty together fellow. We spoke on the phone and other than being a bit hard of hearing, he sounded great. I accept that he's 99+ because he said so but he sounds like a younger person. He was savvy enough to voluntarily give up flying with anyone other than another pilot at age 95 because, "I might have a stroke or something and don't want to endanger anyone." So, quit your worrying. Guy is simply a fellow pilot who loves flying and doesn't want to stop. Though he's now given up his medical, he's healthy enough to have gotten one when he was 93 years old. Facilitating Guy's continuing interest in flying his Sportstar, he is supported by a group of fellow local pilots. Inspired when he witnessed the Navy's USS Shenandoah airship in 1923 followed by a first flight in a Ford Tri-Motor in 1928, Guy started flying in the early '40s, got his license in 1945, and logged time on a dozen aircraft models. He stopped in 1952 due to other responsibilities and did not return to the aviation family until 2005 with the advent of Light-Sport. He likes low-wing airplanes, researched articles, and selected the Sportstar. "It's nice to fly, comfortable, has plenty of leg room and is low in cost," observed Guy. Like many who switch from heavier general aviation aircraft he finds it a bit sensitive and would prefer wing tanks for ease of filling. (Newer Evektor models answered this request.) His aviation buddies provide a stool to make getting up on the low wing easier and they carry it along on short cross country flights. This news came to me through longtime Evektor dealer, Jeff Conrad. "Guy was our very first Sportstar customer," reported Jeff. "He purchased Evektor Sportstar, N322PG. This aircraft was licensed the same day as N400EV, April 8, 2005. So it shares the distinction of being [among the first] SLSA in the world." For those that may have forgotten Sportstar enjoys the distinction of being SLSA No. 1 accepted by FAA. "I've never regretted the purchase," said Guy. "I delivered Mr. Reynold's aircraft during Sun 'n Fun 2005. Best I can remember it was April 13-14th. The Bill of Sale was dated March 29th with registration March 31st." Given these dates, Guy's Sportstar may have been the first end-user delivery of an SLSA, Jeff speculated. For T. Guy Reynolds. Jr., LSA was a dream fulfilled and he wasted no time. "When Guy bought his Sportstar he was 93 years old," noted Jeff. "Since then he has accumulated 800 hours as he approaches his 100th birthday. He is surely the oldest living Sport Pilot and still flying!" In his century of living, Guy has done many interesting things. "He's an engineer and an inventor," said Jeff. On our teleconference Guy's friend and local aviation historian, Bart Rogers, spoke of Guy's work in devising early traffic patterns. "I worked with the three main New York airports plus Chicago and Atlanta," recalled Guy. Bart told us about an intricate "sculpture" Guy created to illustrate possible approach entry patterns for the New York airports. The flight paths were represented with thin string. "It was quite a work of art," added Bart (photo). This was all back in the age of the DC-3. He also worked on a then-CAA experiment to put swiveling gear on a DC-3 "so it could land catywampus" in cross-wind conditions as Guy described the effort. So, you may go have a flight on November 30th and I hope it will be pleasurable and enjoyable for you. Yet until you repeat such a flight on your 100th birthday — should you be so fortunate — you'll have nothing over Guy Reynolds. I hope for great weather on that momentous day plus spectators who can appreciate how one pilot celebrates 100 years of living by going aloft in his Light-Sport Aircraft. Hearty congratulations to a fellow aviator! Jeff Conrad was the importer for Evektor in the first few years of Light-Sport Aircraft and remains a dealer today. He joins companies like AB Flight and Dreams Come True, the latter run by Steve Minnich in Dayton, Ohio. On November 30th, Guy Reynolds will celebrate his 100th birthday by taking a flight in Light-Sport Aircraft. Putting a finer point on it, he’ll take this flight in his LSA. Are you surprised that a centenarian has an LSA? Admit it… I was. However, Guy is no ordinary guy. He bought his Evektor Sportstar back at the beginning of LSA and he’s been flying it about 100 hours every year. That’s probably more than you fly your LSA. Impressive even for a young 50-year old pilot, this fact is, well… astounding for a 90-something pilot. Before you question the wisdom of this flight, let me assure you Guy is a pretty together fellow. We spoke on the phone and other than being a bit hard of hearing, he sounded great. I accept that he’s 99+ because he said so but he sounds like a younger person. He was savvy enough to voluntarily give up flying with anyone other than another pilot at age 95 because, “I might have a stroke or something and don’t want to endanger anyone.” So, quit your worrying. Video Pilot Reports… Want More? We Deliver! 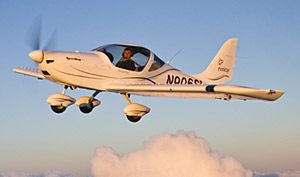 Evektor's new Harmony LSA is the subject of our first full-length, two-pilot video review. Video info and entertainment is burgeoning these days. YouTube has become one of most-visited Internet websites; you can watch videos on subjects of every conceivable description (plus many you could not have conceived). *** In the aviation world, videos are also common. AOPA, EAA, AvWeb, Aero-TV, Loop-TV, and others offer video to further your knowledge and enjoyment of aviation. Folks just seem to love watching videos. Now, we are pleased to offer you something a little different from the others and in so doing we promise to remain true to Light-Sport and all Sport-Pilot-eligible aircraft. *** After producing more than 100 shorter-length video reports on Light-Sport Aircraft and other Sport Pilot-eligible flying machines, the Light Sport and Ultralight Flyer and I are pleased to collaborate on the first two-pilot, full-length, all-video pilot report. Here you'll find almost an hour's worth of flying footage and detail commentary from a couple experienced evaluation pilots that can help decide which airplane you want to buy. Or, view it simply for a bit of diversion. Grab your favorite beverage, sit back at your computer or TV or view on your mobile device to enjoy this mold-breaking review of the new Evektor Harmony LSA. Video run-time is 45 minutes but you can tag as a favorite and watch anytime, anywhere. Naturally, we have it right here on ByDanJohnson.com, too. |||| Other Videos You Might Enjoy — In addition to the full-length pilot report, I want to recommend two other videos I think you'll like. First is a review of flying a Light-Sport Aircraft to the Bahamas. Aviators Hot Line interviewed Bahamas "Ambassador" Mike Z (a genuine, honorary title bestowed on him) who takes you through a brief review of the process. If you want to fly internationally, watch this one. Another is a professionally shot CTLS promo video that has some outstanding photography. You'll learn what owners of the CT series think of their birds, but you'll also see stunning scenery from the American Southwest that is sure to reinforce why you enjoy flying. LSA offer a viewing platform better than most other aircraft and this video from the Loop-TV folks is proof once again. In closing I want to make you aware of a new video outlet in development. AircraftReporters.TV is a new website venture involving multiple video producers and several media partners, including Aviators Hot Line, Light Sport and Ultralight Flyer, Flightime Radio, and ByDanJohnson.com. More media partners will be sought and the number of videos should keep growing. Aircraft Reporters.TV (in beta stage at this writing) is working to create a clean website with an embedded player. While these videos can often be found on YouTube, the sheer volume of videos of every kind on the big website makes a challenge of watching only video reviews of aircraft. On AircraftReporters.TV — as on ByDanJohnson.com's LSA Videos — you get pure, concentrated aircraft reviews (and videos of related products of interest). Visit on the online theater of your choice! Video info and entertainment is burgeoning these days. YouTube has become one of most-visited Internet websites; you can watch videos on subjects of every conceivable description (plus many you could not have conceived). *** In the aviation world, videos are also common. AOPA, EAA, AvWeb, Aero-TV, Loop-TV, and others offer video to further your knowledge and enjoyment of aviation. Folks just seem to love watching videos. Now, we are pleased to offer you something a little different from the others and in so doing we promise to remain true to Light-Sport and all Sport-Pilot-eligible aircraft. *** After producing more than 100 shorter-length video reports on Light-Sport Aircraft and other Sport Pilot-eligible flying machines, the Light Sport and Ultralight Flyer and I are pleased to collaborate on the first two-pilot, full-length, all-video pilot report. Here you’ll find almost an hour’s worth of flying footage and detail commentary from a couple experienced evaluation pilots that can help decide which airplane you want to buy. Evektor will always be First... that is, the Czech company gained the very first Special Light-Sport Aircraft approval back in April 2005 and no one can ever take that first-in-class title away from them. Now they are also the newest approval, before AirVenture 2011 anyway. Congratulations to Evektor Aerotechnik and their U.S. representatives including Steve Minnich's Dreams Come True operation in Dayton, Ohio. *** "I got a call right at lunch time that the Evektor Harmony LSA, N905EH, just received her airworthiness certificate," Steve wrote on July 13th. How is Harmony different than the SportStar series (SE, Plus, Max, Max IFR)? Steve helped out with an informative summary. *** "The wing and tail surfaces are tapered and the wings and horizontal stabilizer have greater span so the wing area is actually the same. Both rudder and ailerons are larger giving a higher crosswind capability and the rudder pedal linkages exit through the floor rather than penetrating the firewall. Even the firewall is extended 100 mm (approx. 4 inches) so the rudders not only adjust in three positions, but now may be mounted in 3 locations. This new flexibility gives tall pilots an option to move the whole rudder assembly forward, or move it aft if shorter folks are going to be flying regularly. The wheel pants (which Europeans sometimes call 'spats'), and gear leg fairings have been redesigned and are closer fitting and more aerodynamic. There are other refinements that are important, though less obvious. The rudder/brake pedals truly are aviation style components." *** Steve continued, "The canopy latch has been changed to a double latch similar to an automotive style providing both a latched and a locked position. The fuel bypass now returns to both tanks not just the left and those tanks now hold 31 gallons. The nose gear has been redesigned and the steering, still directly linked, has been changed so the sensitivity is ground adjustable. Finally, an optional air handling unit is now available for positive air circulation while on the ground." *** The wing and empennage treatment may seem subtle at first but on closer examination, the Harmony enjoys more refined lines. 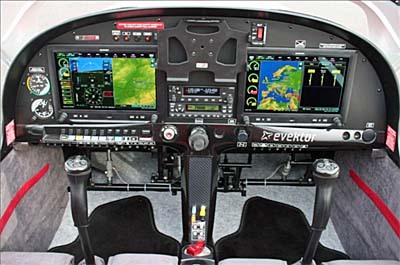 Evektor has constantly been improving this benchmark aircraft and this 2011 model takes that to the limit. Come see the new Harmony at AirVenture 2011 in space 441, just east of the new FAA control tower. See you there! Evektor will always be First… that is, the Czech company gained the very first Special Light-Sport Aircraft approval back in April 2005 and no one can ever take that first-in-class title away from them. Now they are also the newest approval, before AirVenture 2011 anyway. Congratulations to Evektor Aerotechnik and their U.S. representatives including Steve Minnich’s Dreams Come True operation in Dayton, Ohio. *** “I got a call right at lunch time that the Evektor Harmony LSA, N905EH, just received her airworthiness certificate,” Steve wrote on July 13th. How is Harmony different than the SportStar series (SE, Plus, Max, Max IFR)? Steve helped out with an informative summary. *** “The wing and tail surfaces are tapered and the wings and horizontal stabilizer have greater span so the wing area is actually the same. Both rudder and ailerons are larger giving a higher crosswind capability and the rudder pedal linkages exit through the floor rather than penetrating the firewall.